All Progressives Congress (APC) National Leader, Asiwaju Bola Tinubu, has again blamed past civilian administrations for the nation’s economic woes. He stated this in his address as the special guest of honour at the 35th annual Aminu Kano Memorial Symposium, held in Kano, on Tuesday. 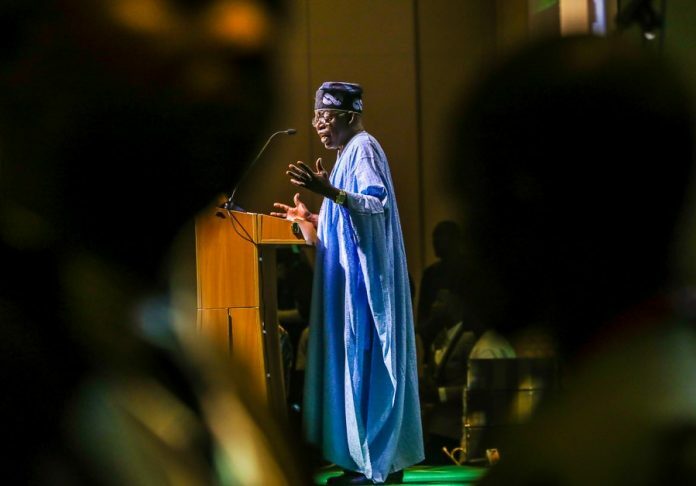 Tinubu, who was represented by the Governor of Oyo State, Senator Abiola Ajimobi, described the ex-President Goodluck Jonathan-led administration as the worst culprit in the pillaging of the nation’s resources. He said the APC government had in the past three years been labouring hard to clean the rot and give the people a new lease of life. The APC leader stated: “The APC government may, at times, be imperfect in fulfilling the spirit of Aminu Kano but we are far from the PDP (Peoples Democratic Party), which has perfected the malign craft of giving selfish ambition primacy over the public good. Due to the drop in oil prices, he said that the ruling government had had less resources at his disposal than its predecessors, but had done more with the less. Tinubu said the theme of the symposium was apt and timely. He commended the Aminu Kano Center for Democratic Research and Training and Bayero University for the initiative. He added: “Instead, he (Aminu Kano) devoted himself to the welfare of the people. He took the harder path because it was the true and correct one. As Aminu Kano did, we must do!